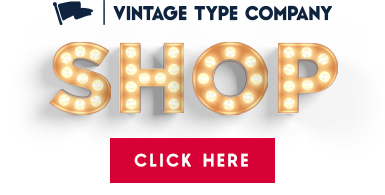 Vintage Type Co. | Blog » Typefaces & Fonts: What’s the Difference? A typeface is literally the face (visual aesthetic) of a group of letters or entire alphabet. What does it look like? Is it a serif? A sans serif? What do the A’s look like? What does the punctuation look like? How do the letters visually flow together? These are all the types of questions you would be asking yourself while taking on the task of designing a typeface. A font is the software (typically an .otf or .ttf file) that allows typefaces to be installed and used on your computer. Post Script font files were only released in the 1980’s by Adobe, and TrueType and OpenType only in the 1990’s, so fonts are still a relatively new thing in the history of typography. 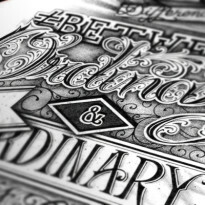 Before fonts, everything had to be done by hand, by either handlettering or using moveable type. Is the kerning or leading too tight? Are my ASCII codes all correct? Does every glyph work properly? These are the types of questions someone designing a font would be asking themselves. It can get pretty confusing, but just remember that when you’re talking about a “typeface”, you’re talking about the visual design of an alphabet or group of letters. When you’re talking about a “font”, you’re talking about how well this typeface functions on a computer. Do you have anything to add? Did you learn something? Let me know in the comments below, and why not follow VTC on Instagram? You won’t regret it! eg: Gill Sans is a typeface containing the fonts 12pt Gill Sans Bold, 18pt Gill Sans Italic, 24pt Gill Extra Bold etc. Exactly. I think you’re saying essentially the same thing. The design of any specific letters, or family of letters is a typeface. A ‘font’ didn’t even exist when Eric Gill released Gill Sans in the late 1920’s. But they would have varying sizes (12pt, 18pt, 24pt) of moveable type to print with.